It's no surprise that high school seniors experience stress. Their coursework is more difficult than ever, they have pressures of getting into the "right" college or what they will do for work upon graduation, and they fear what life will be like away from all the people they have been with for so many years. Understanding why high school seniors experience stress will help you put stressors into perspective as a high school student or help someone you know who has senioritis stress. Interview with Rosalind Dorlen, Psy.D. 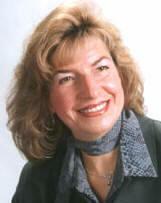 Rosalind Dorlen, Psy.D. is a clinical psychologist for the Overlook Hospital in Summit, New Jersey and is a former school psychologist for the New Jersey public school system and Seton Hall University. She holds many certifications and distinctions including 2000's "Psychologist of the Year." LoveToKnow (LTK): Why are high school seniors especially prone to high levels of stress? Dr. Rosalind Dorlen (RD): High school seniors are increasingly obsessed with preparing for college, in both suburban and urban schools. The pressure on them is great. Many adolescents take 15 AP courses, play lacrosse on three separate teams, try to manage their social life - all at the same time they are visiting colleges and universities and applying to them. There are social stressors, psychological issues of separation from parents and friends, and financial pressures. Recently, many high school seniors are expressing concerns about the economy and whether they will be able to find a good job when they finish college. LTK: What are some of the thoughts that high school seniors have that increase their stress level? RD: Will my parents be able to afford a college education? Am I putting too much stress on my family? Can I hack it at college? Will I get into a good school? Will I be comfortable living away from my parents' house? Are my grades good enough to get in? What about SAT scores? Why is everyone pressuring me so much? Do I really need to go to college? Is it worth all the time, money and aggravation? LTK: What are the signs high school seniors exhibit when they are experiencing a high level of stress? LTK: What are some of the consequences of stress for high school seniors? RD: Some of the consequences of stress for high school seniors are panic attacks in susceptible adolescents, sleep disturbances, issues of self esteem, stomach problems, headaches, increased dependence on alcohol and getting high and a general feeling of unhappiness. LTK: What are some long-term issues that may arise out of experiencing a high level of stress at this age range? RD: Some long-term issues that may arise for seniors as a result of experiencing a high level of stress are persistent and ongoing anxiety and depression, elevations in blood pressure and other somatic complaints. LTK: How important is stress management for high school seniors? RD: As a psychologist, I think it is very important that all high school students learn about healthy ways to manage stress. LTK: What else can high school seniors do to lower their stress levels? LTK: How can someone help a high school senior who is under a lot of stress? RD: Be a good listener, give advice when asked and avoid nagging, and be available if the senior wants to talk. If the high school senior's stress is prolonged and/or extreme, suggest that he/she talk to someone who can help; e.g., a psychologist or other licensed mental health professional. It can make a world of difference and ease adjustment to college life. LTK: What are some resources for high school seniors under stress? • How to survive unbearable stress, online book by Steve Burns, M.D. LoveToKnow would like to thank Dr. Dorlen for taking the time to share her expertise on this important issue concerning high school seniors.